Mother's Day is a day we all cherish. Whetheryou call her mommy, ma', mom, Ima, or anything else, this is a day which is dedicated only to her, celebrating the love and caring she provided you since birth. 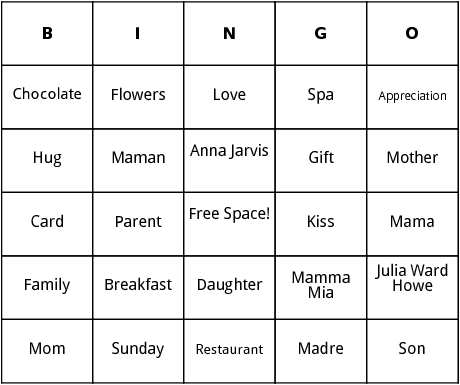 These Mothers Day bingo cards include pharses like Mom, Love, Sweets and more.